- Outside Spray Treatment – If Mosquitoes are coming indoors, searching for their prey, spray a residual insecticide treatment around all entry points and the perimeter of your house. Spray anywhere they are and other areas on the exterior of buildings. Bitting insects are primarily attracted to animals because of the CO2 content in respiration. Mosquitoes now are a hazard as well as a nuisance and we provide a very effective trapping service using CO2 as an attractant to mosquitoes. Please go to http://mosquitocontrol.co.in/ for more information. - Mosquitoes breed in stagnant water such as clogged storm water drains, septic tanks and other water stagnant areas. Suitable larvicide is applied on the surface of the stagnant water depending upon type of water that is clean or dirty water. Hygeia Pest Management Pvt. 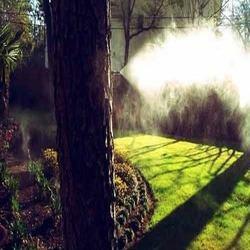 Ltd.
Comprehensive and customized mosquito control services for residential and commercial venues. Mosquitoes can make life miserable. Presence of mosquitoes in any areas bring in constant annoyance and irritation caused by their bites. They transmit serious diseases. Mosquitoes can be found al-through the year. And causes significant nuisance and public health threat. We are providing Mosquitoes Control Services for all Commercial and Industrial spaces. - Prevention of their breeding in stagnant or flowing water helps minimize their population. What are hygiene chemicals These are parathyroid based oil in water emulsion pesticides. Mechanical method: Recommend customers to install insect light traps at heavily infested sites, near entry points to the premises. 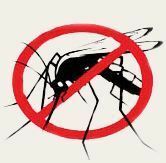 Electronic devices like mosquito repellent can be installed at areas whereby other treatments cannot be carried out. Being recognized amongst client-centric companies, we are engaged in providing Mosquitoes Control Services.